"They" definitely should know you!!! Sorry I had to turn the word verification back on. I was drowning in spam. Boo. Thanks for all the great tutorials. Keep 'em coming! Thank you for all these ideas and tutorials! Cute! Thanks so much for all the tutorials! They're great. 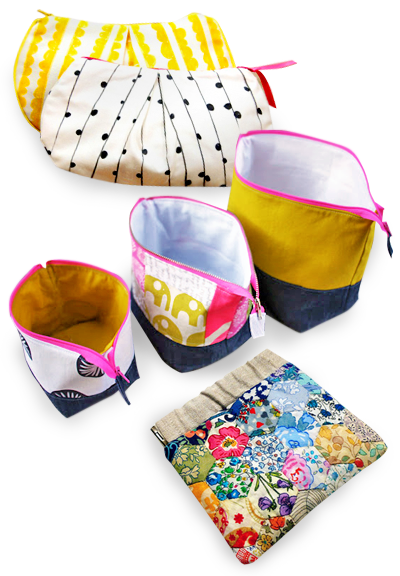 These are great little purses, I've recently aquired a sewing machine so may need to add them to my project list and give them a whirl! Thanks for the tuts, you are such a great curator of all things fun and cute! An amazingly beautiful little purse. Can't wait to make one. Very nice !! I love bags and my favourite hobby is creating them! http://kensingtoncottage.blogspot.com, I really love these little bags! The First tutorial wouldn't show whenever I tried to click on it. These are all SO adorably sweet! Thank you so much! Your directions are easy to follow. I just made the open zipper pouch and it came out pretty good for my first ever sewing project!